While it seems like all diets come and go—frequently earning them “fad” notoriety—there’s one nutritional strategy that’s highly effective, held strong, and only gained momentum and scientific backing over the last 20-plus years…Higher-protein diets. How do higher-protein diets flex their fat-burning muscle? What exactly qualifies as a higher-protein diet? Let’s dive into these questions and more to find out! 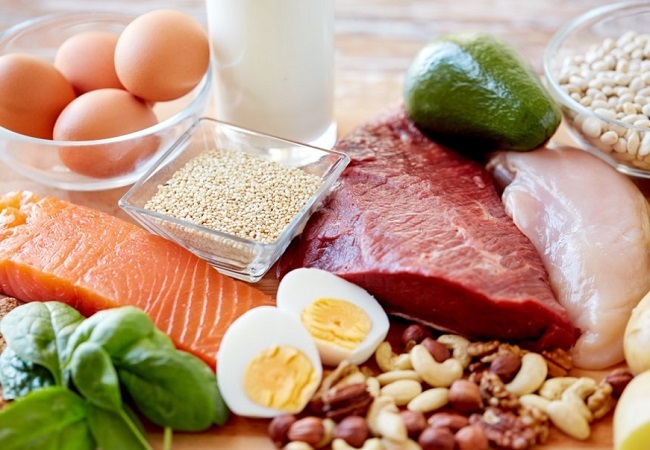 Research has shown that consuming diets higher in protein is not only safe for otherwise healthy individuals, these diets may provide a host of health benefits. With that in mind, let’s take a look at why protein is important for burning belly fat. Starting at the top, higher-protein diets can help boost metabolic rate. All foods we eat require calories to be burned to digest, absorb, and assimilate their nutrients. This is the thermic effect of feeding (TEF)—or what we like to call the thermogenic burn. Now that I’ve answered the question on why protein is so important for weight loss, you may be wondering how much protein you might need to reap the super awesome rewards of a higher-protein diet. Along those lines, research indicates you may need up to TWICE the RDA (or even more). Generally speaking, higher-protein diets provide somewhere between about 0.65 – 0.85 grams per pound of lean body weight, per day. Practically speaking, that means making sure that individual meals contain between 20 to 30 grams of protein, respectively. Soft cheeses (mozzarella, brie, camembert) – 6 grams per oz. Medium cheeses (cheddar, swiss) – 7 or 8 grams per oz. Hard cheeses (parmesan) – 10 grams per oz.